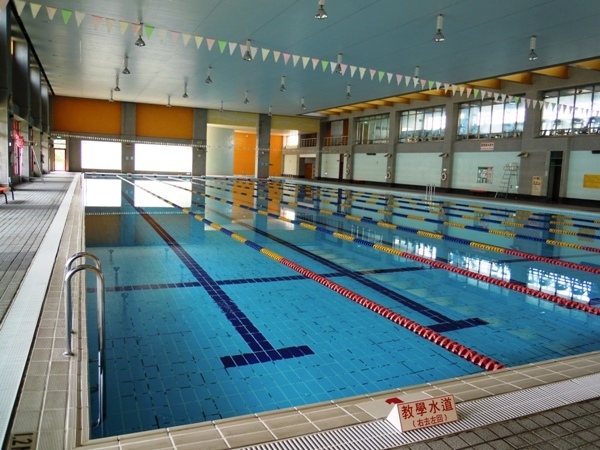 There are one children pool and a 8-lane, 50 meters long deeper pool in the swimming hall. There are four lanes reserved for teaching and training. Please wear swimsuits before going into the pool. 1. NO ENTRY during closed hours. 2. Swimmers SHOULD obey the SIGNS inside the stadium. 3. NO children under 12 are admitted unless accompanied by an adult. 4. NO PET is admitted. 5. Obey the lifeguards and patrons. 7. SHOWERS are REQUIRED before entering the pool. 8. SWIMMING SUITS are MANDATORY. 11. NO FOOD is permitted. 12. LIFEGUARD/PATRON DECISIONS ARE FINAL.